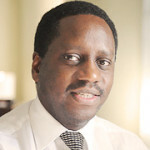 Apolo is Chief Executive Officer at Africa Maven Group (AfMG). The Mavens work to foster innovation in Africa by leveraging the power of Information Technology and creating conducive environments for Africans to develop ingenious solutions to address everyday problems. AfMG realizes that its greatest wealth is in its people — giving people hope and belief in themselves; investing in human capital; educating the young; cultivating relationships; and connecting people. He also serves as the Director of Grace Villa Kabale, an organization that seeks to empower the girl child in Uganda. Apolo has worked as a grants manager at research hospitals in the Boston area for over 9 years and with African Diaspora community organizations such as the East African Cooperation Forum – Diaspora where he served as President and Director of Communications. Apolo was born in Kabale, Uganda. He spent his early formative years in the US, Scotland, Kenya and Uganda where he studied at Kings College Budo and Makerere University. While in the US, he attended Massachusetts Communications College (Audio Engineering) and Messiah College (Mechanical Engineering). He has spent the last two years living in Kampala, Uganda.